It’s no secret that online reviews can make or break your reputation. This is something that we see every day at GigMasters – as clients post (mostly positive) reviews of our members. But, like so many things on the Internet, “reviews” are constantly evolving and phony reviews (positive and negative) are on the rise – (but fortunately not at GigMasters). 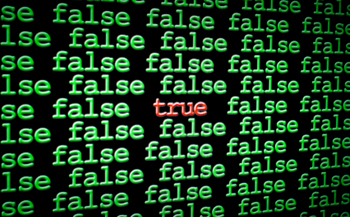 Based on a recent study, Gartner predicts that by 2014 10-15% of all online reviews will be fake! M. Joy Hayes, Ph.D. of The Motley Fool said that today one of three online consumer endorsements ARE fake!!! Very few review websites have figured out a way to minimize misleading, false positive reviews. The key, of course, to credible reviews is to make sure that the actual customer is the only one who can leave a review. Ebay, Zappos and GigMasters do this by permitting customers to only leave reviews for actual transactions. On some sites, you’ll see the word “verified” next to reviews that are based on a transactions (and “unverified” on reviews that aren’t). However, for many sites that list local businesses, there is no online transaction. This makes it challenging for “local” sites like Yelp to maintain pure reviews. How do you know if the person reviewing the restaurant even ate there? Further, many listing services are conflicted because they don’t want to upset the vendors who advertise so they look away from false reviews, or worse, they delete negative reviews on their advertisers’ behalf. Yikes!!! Before you list your services anywhere, see if the ability to write a review is open to anyone. Read your reviews all the time – and comment on them! GigMasters gives you a chance to respond to your reviews – we encourage you to do this for both the positive and negative reviews – even if it’s just a quick thank you! Illusions by Vick does a great job of this. For negative reviews, don’t get defensive. A great response is: “I’m sorry that my services didn’t meet your expectations. I look forward to speaking with you about how I can make sure that I exceed my clients' expectations in the future.” Of course, if there were unusual circumstances, briefly explain what they were and stay humble. And remember, one bad review won’t hurt your reputation – especially when it exists among many, many other glowing reviews. So keep the positive reviews coming!